If you’ve completed an operation and entered the incorrect date, you can use Fix Date to adjust it. First locate the completed operation from the History tab in the Product Overview or alternatively from the Job Management console. 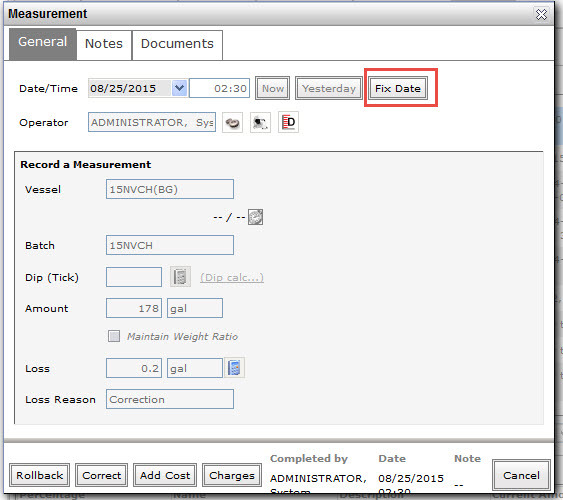 Click View on the operation and next to the date there will be a Fix Date option. You will then be prompted to enter in a new date. This will be restricted to a certain range depending on what date the previous operations have been recorded on.